Idealiskt beläget, detta charmiga två-rumslägenhet och en halv ligger i Versoix, 50 meter från Genèvesjön och 15 minuter med tåg / bil från centrala Genève. Nära bekväma, banker, postkontor, affärer, restauranger, tåg, buss. - Ett sovrum på mellanvåningen med en dubbelsäng. Good value for money, in such an expensive country. Very nice view, cosy and close to station and shops. Only drawback is the 3 flight of stairs to reach the apartment. We five of us for a week stay in swiss at gabby’s apartment, was very nice. Had a really great time there. We enjoyed our stay and would return there again! 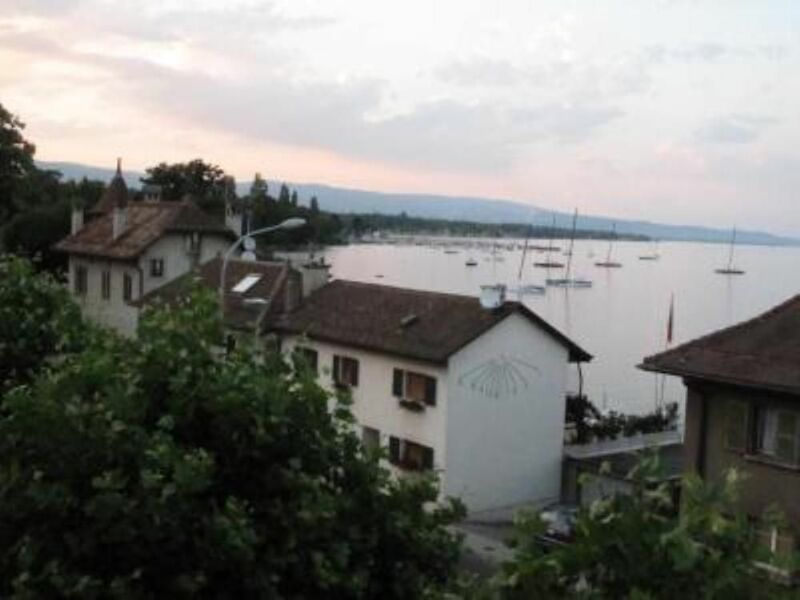 The location is great as it has a train station, grocery stores, on Lake Geneva, a chocolate factory, near the FIBA headquarters, and close to Geneva. The apartment was clean and just the right size for us. The Internet worked properly and that was a plus. We recommend this property! My family and I had an enjoyable stay in Gaby's property at Versoix. She was an excellent host, she did very everything possible for us to feel at home. She gave us information and directions about where to visit and all that. The property is only 3 minutes walk to the train station and local buses. It has a Lake front view and inside is well furnished and comfortable. Thoroughly enjoyed the place. Close to public transportation: bus & train, free parking about 6 minute walk, close to groceries, an awesome and affordable bakery around the corner, wonderful view. Fit all 5 of us, though a touch tight, but traveling with teenagers, it really wouldn’t matter. View is from out the window towards the lake. Gaby very helpful - Cosy apartment for the 5 of us. Located beside train station with great service into Geneva, 3 minutes walk to supermarket, good views of lake and clean apartment. International Geneva 15 minuter med bil eller tåg, Sjö, skidbackar och restauranger av alla slag i närheten.